Of Krishna the Lord, Krishna the seeker – and bliss! Whatever you do, do it as an offering to the Universe – from your soul to the cosmos. And you will be at peace with yourself! For those of you who do not know Krishna well, he, at 38, is regarded as one of Carnatic music’s most outstanding young proponents. His talent is regarded as prodigious and many expected him to walk the predictable path to “glory” in the highly templated Carnatic music industry that thrives on overflowing kutcheris, raving, nodding rasikasand awards and titles being accumulated annually. Perhaps it was Krishna’s personal quest (his seeking the ‘earthiness of his being’), influenced by his schooling with the KrishnamurtBi Foundation of India (founded by renowned philosopher J.Krishnamurti), for finding a deeper meaning to Life, that led him to stop running the “Carnatic rat race”. He stopped playing to the rules long back and has done “crazy” stuff like refusing to sing at paid-for concerts. To many, he’s the enfant terrible of Carnatic music. I don’t know much about Carnatic music for me to be able to comment on Krishna’s genius. But I firmly believe he’s not being argumentative ever. If anything, he’s spiritually evolved. The help you give, even your suffering. From the results of action, good and bad. I don’t want to get into the merits or demerits of Karmic theory or the existence or non-existence of God here. The point is very simple. You and I, and Krishna, have been created without our asking for this lifetime. We have been endowed with our own special talent. In Krishna’s case, it is proficiency in Carnatic music (and in writing, as I have come to discover; his book ‘A Southern Music – The Karnatik Story’by Harper Collins was released by Nobel laureate Amartya Sen last month). This Life, therefore is a gift. The talent each of us possesses too is a gift. So, the best way to live the Life given to us is to offer whatever we do to the Universe – freely, without seeking anything in return. When there are no expectations from whatever you do, there can be no agony. And when there is no agony or suffering, you will thrive in your native state of inner peace, joy and bliss! 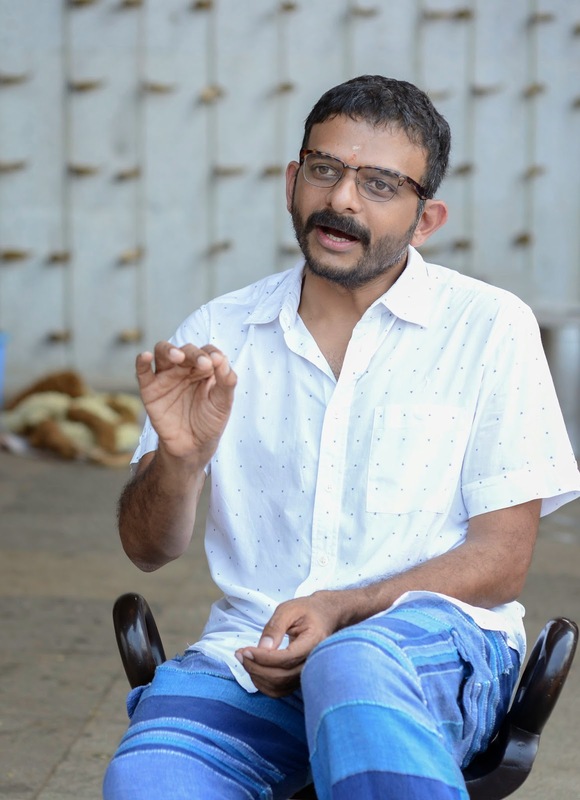 That’s what Krishna of the Bhagavad Gitaprofessed and that’s what T.M.Krishna believes in – and is championing! Author AVIS ViswanathanPosted on January 29, 2014 March 14, 2016 Categories A Southern Music - The Karnatik Story, Amartya Sen, Arjuna, Bhagavad Gita, Bliss, Harper Collins, http://schemas.google.com/blogger/2008/kind#post, Inner Peace, Intelligent Living, J.Krishnamurthi, Lord Krishna, Nobel, OPEN magazine, T M KrishnaLeave a comment on Of Krishna the Lord, Krishna the seeker – and bliss!